Alliance has the fastest turnaround time in the industry. Our high-energy schedule produces high-quality products delivered quickly to our customers. You want it fast? We can do it! At Alliance we’re flexible and can provide expedited service if you wish. Give us a call at 858.549.7297 to discuss. * To ensure that we meet or exceed your expectations, some orders may require a little more time. 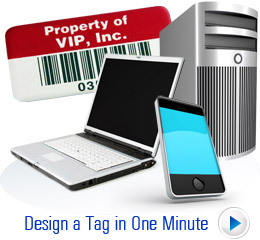 Every business day thousands of asset tags fly out of AllianceTag’s manufacturing headquarters in San Diego into client’s hands and onto their treasured assets.